We're here for pastors in the churches Jesus died for because we think that pastors need something different. This website isn't about leadership or church growth or management techniques, it is about the core of our ministry and our personhood - our relationship with Jesus. It's about our passion for Him and His passion for us. It's about our own spiritual journeys, and how we might accompany one another on those journeys. It's not about "accountability," it's about "the mutual conversation and consolation of the brethren." We're here for those who aren't pastors because, frankly, pastors can't do anything all by themselves. They need companions on their own spiritual journeys - and not just other pastors, but companions who come from the people they minister among. We're here for pastors' closest companions in their journeys - their wives or husbands, children or parents or other relatives. We're here for pastors of whatever denomination, and even for non-denominational pastors; but our particular context is the SELC District of The Lutheran Church - Missouri Synod, so there's a page for them (but if you're interested, take a peek). We're here for pastors in other countries, too. We're here for you - let us know what we can do for you. And we're here for caregivers, counselors, social workers, professionals, volunteers. There's a separate section of this site just for the pastors in the SELC District, and a different section filled with resources for everyone involved in caring for others. Take a look around - explore! - and if you'd like to see something added to the site, let us know. For over 35 years Pastor Chris Cahill has served as sole pastor in congregations with less than 150 in weekly worship attendance. He received the Doctor of Ministry degree in Spiritual Formation from Ashland Theological Seminary in Ohio, specializing in the spiritual formation of pastors. 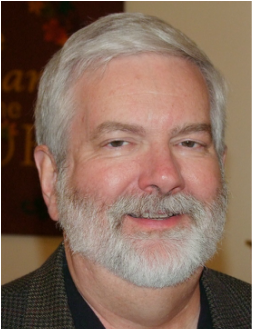 He has also worked in the areas of Formational Prayer and Formational Counseling, and is a member of the International Association of Trauma Professionals with a Compassion Fatigue Professional Certificate. ​He is presently Pastor of Christ the King Lutheran Church in Lodi, Ohio, and the chairman of Ministerial Care and Second Vice-President of The Lutheran Church-Missouri Synod's SELC District. He is involved in the community in the Matthew 25 Coalition of Churches in southern Medina County, and has been a member of the Medina County Coalition Against Human Traffiicking. He and his wife Beverly have three adult children and four grandchildren.